MT Alpha club Membership : We Want You to join! Not only do we have stellar race and junior teams, we have a mountain bike club team. We are passionate about getting as many ladies out on mountain bikes as possible. We want you to feel knowledgeable and prepared for the trails we ride and the events in which we participate in this area. 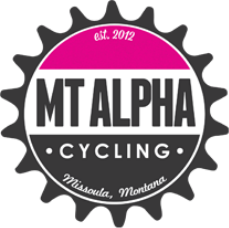 By becoming a club member of MT Alpha Cycling, you will have access to opportunities that further these motives. As a club member, you're encouraged to race at least one (1) race and volunteer at at least two (2) races. If these criteria are fulfilled, members will have the option to buy our custom-designed kit, plus more to come. Do not sign up for club if you're signing up for race or road team!